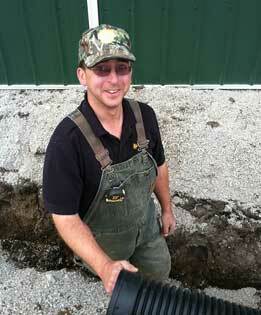 Andrew grew up on another farm south of Oakley, Illinois, and attended Cerro Gordo schools. He graduated in 1996 and went on to Richland Community College and then graduated from Illinois State University with a double major in agribusiness and ag industry management in 2001. In 2000, Andrew moved back to his grandparents home and farm to help take care of his grandmother. He started working for Jenner Sales in 2005 in the parts department and is now their field parts specialist serving Illinois an Indiana. Jenners is a Case/IH application equipment dealer. If you are in need of anything, including parts or service for fertilizer and chemical equipment, feel free to give Andrew a call. In early 2005, Andrew met his future wife Jessica Miller from Virden, Illinois. After a long 3-month engagement he proposed on the tractor, in the hayfield no less. She, of course, said yes and you might say the rest is history and they are still making it. Just this year Jessica and Andrew welcomed Anna Marie and now (in about 8 years or so) they’ll have a new partner on the farm. She is already the boss so partner is the only thing left at this point. 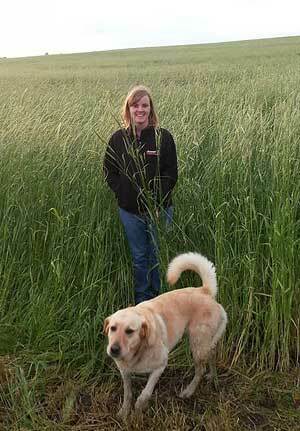 Ultimately, Jessica and Andrew ended up buying the home farm from grandpa in 2008. The operation continues where grandpa and dad both grew up and soon, Clarkson Farms will be approaching the 100 year mark of family ownership on the property. This year also marked dad’s (Wayne Clarkson) formal arrival back in the area. After retiring from the U.S. Postal Service as postmaster of Virden, Illinois, he ultimately bought the converted school house where Andrew’s grandpa went to grade school and moved across the section from our home place.